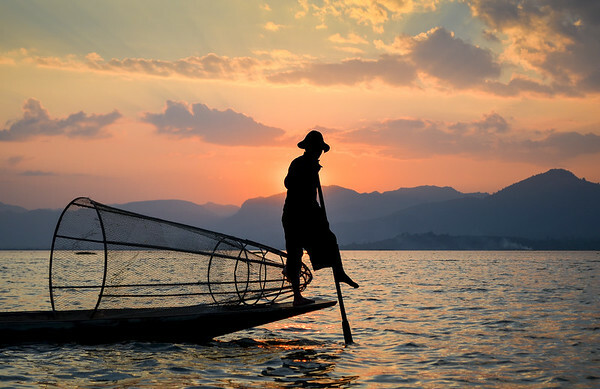 A traditional fisherman with his distinctive net heads home on Inle Lake to the town of Nyaungshwe. 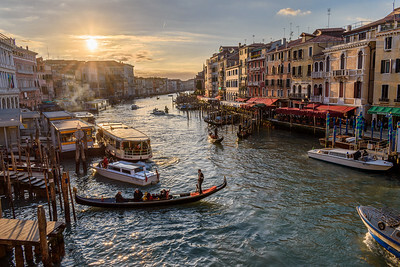 The sun sets over the Grand Canal in the beautiful city of Venice, Italy. 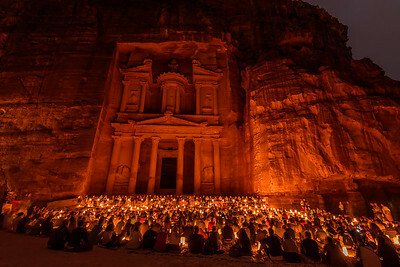 Candlelight reflects off the Treasury facade at the ancient site of Petra, Jordan. 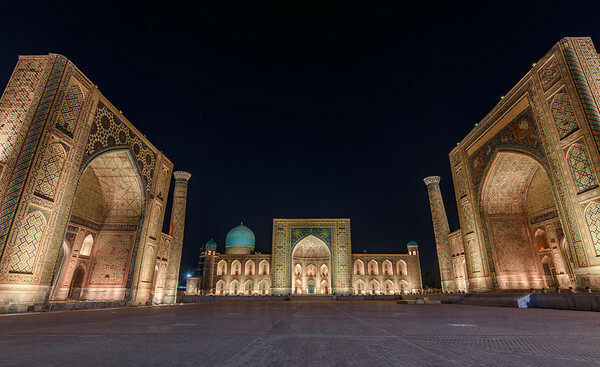 The mirrored arch commemorates the Russian victory over Napoleonic France in the Patriotic War of 1812. 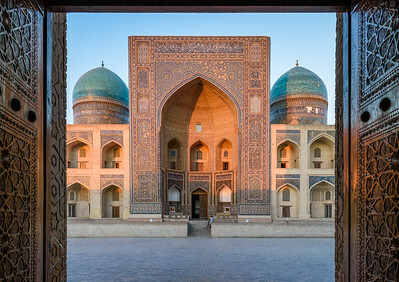 The sun reflects off the Mir-i-Arab Madrassa. 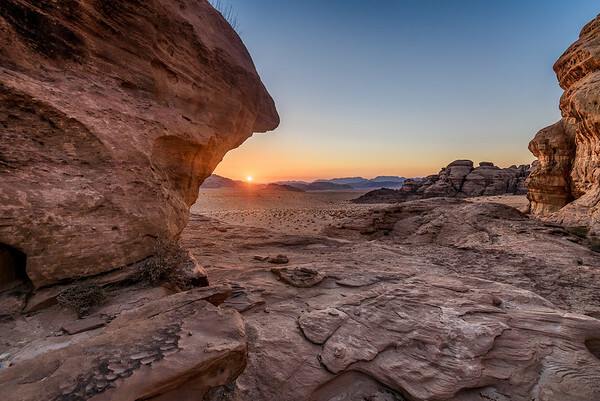 A clear sunset over the stark, distinctive rock formations of Wadi Rum, Jordan. 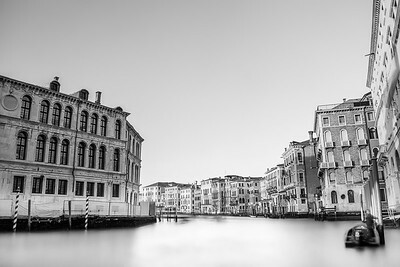 Life at a standstill on this historic waterway in Venice, Italy. 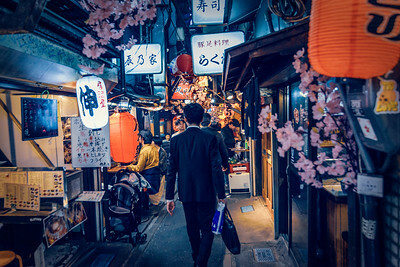 A salary-man strolls through Omoide Yokocho in central Tokyo. 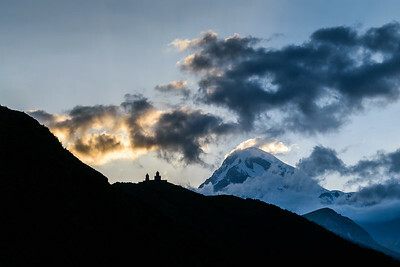 The sun sets behind Gergeti Trinity Church in Kazbegi, Georgia. 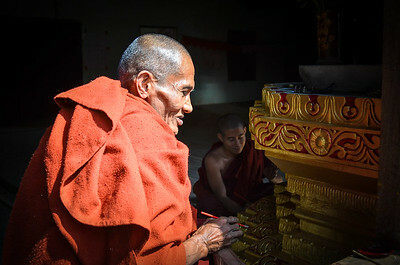 A Buddhist monk pauses in his painting of an altar near Nyaung Shwe, Burma. 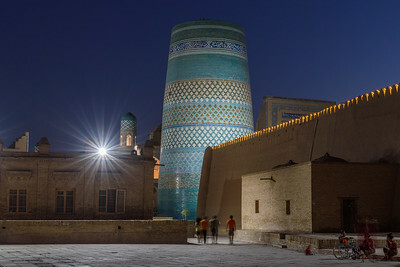 The turquoise-tiled minaret glows in the dusk. 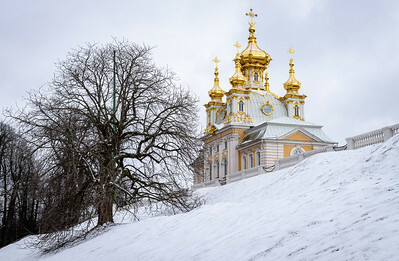 Church and tree stand isolated between snow and sky. 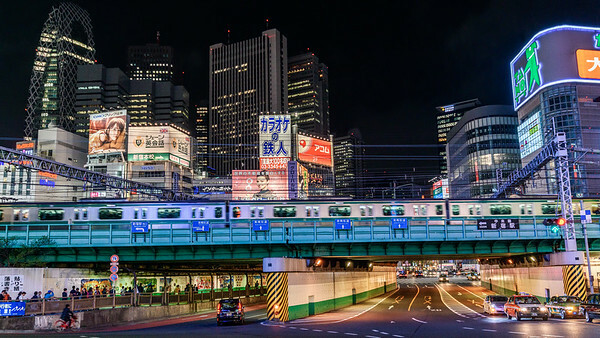 The futuristic neon cityscape of Japan's busiest district. 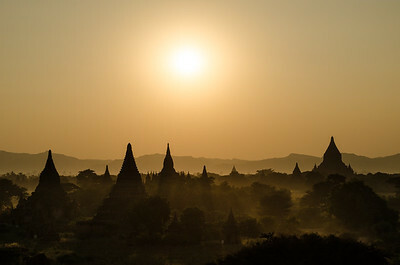 The sun low in the sky over the temples of Bagan, Burma. 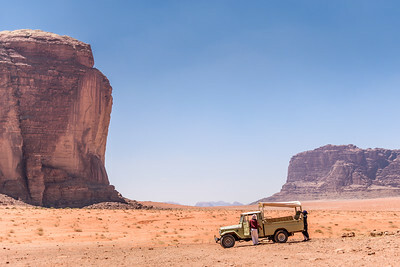 Two bedouin pause to change a tyre and are dwarfed by the landscape of Wadi Rum. Lamplight illuminates the torii gates of Fushimi Inari Taisha. Young girl holding her brother, who is wearing thanaka facepaint, in Bagan, Burma. 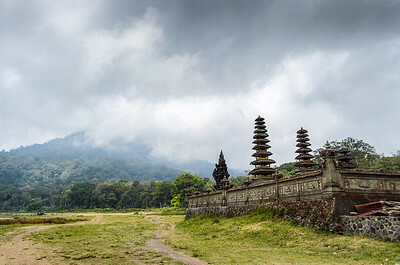 The clouds descend over a Hindu temple by Lake Tamblingan, Bali. 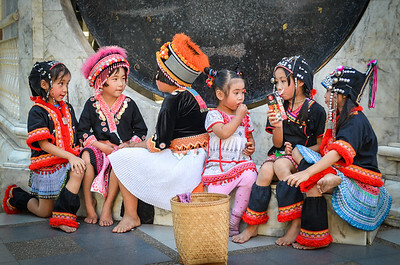 Child performers take a break from dancing at Doi Suthep temple, Thailand. 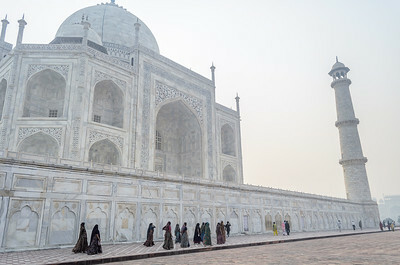 A group of similarly-dressed women visit the Taj Mahal in India. 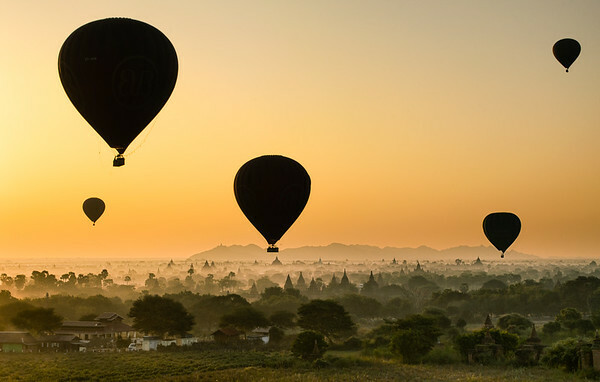 Balloons drift over the temple plain of Bagan at sunrise. 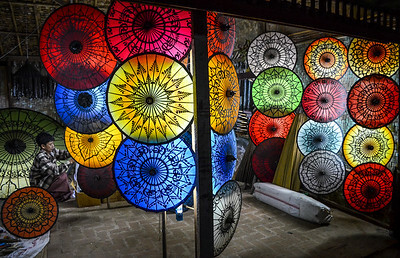 A colourful umbrella shop in Bagan, Burma. 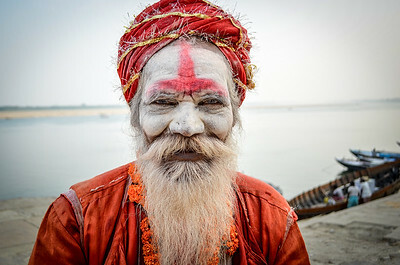 A sadhu, or holy man, sits by the banks of the Ganges River in Varanasi, India.